Classically styled and elegant, this tallit and tefillin bag has its design situated at the bottom right hand corner. It has the three wheat design along with spiral and dotted embroidery. The velvet bag has an inner lining and has a top zipper. 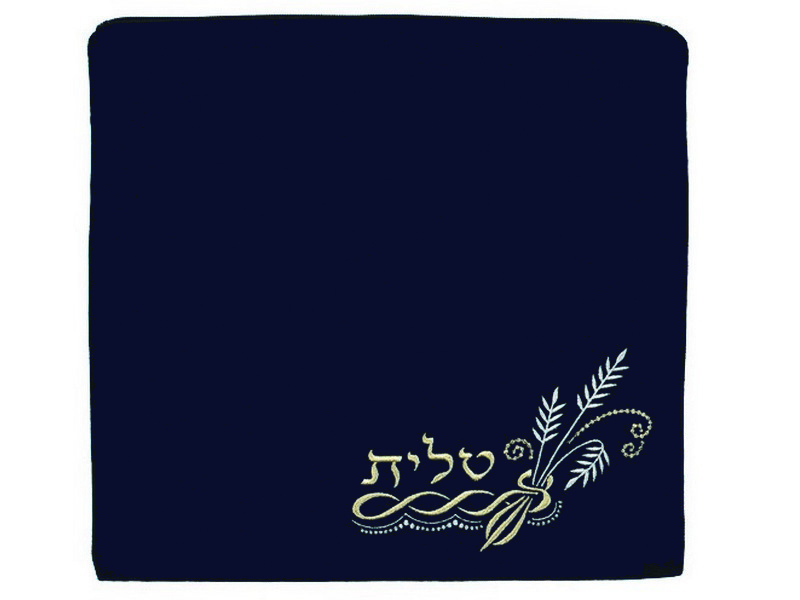 The bag has the Hebrew word “tallit” or “tefillin” elegantly embroidered near the design. 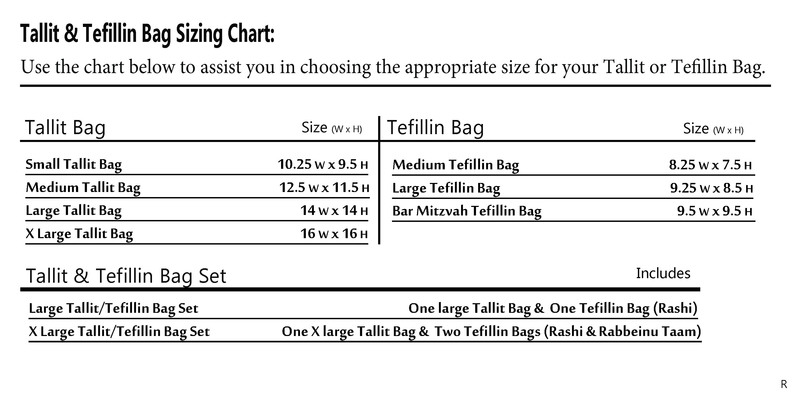 Please select the intended use of the bag being purchased from the options drop down to ensure that the correct Hebrew word will be on the bag. This bag has the option of adding custom embroidery with Hebrew or English characters. An optional clear plastic slip-on protective bag is available.